Afghan Balouchi rugs are made in the villages of Zakini, Tiamani and Kowdani, which are located in the province of Herat, Afghanistan. As a result of the past 30 years of war and foreign invasion of Afghanistan, most of these weavers in the villages have moved to the cities and are no longer weaving rugs. Therefore, you rarely see a newly woven Balouchi rug in the market. 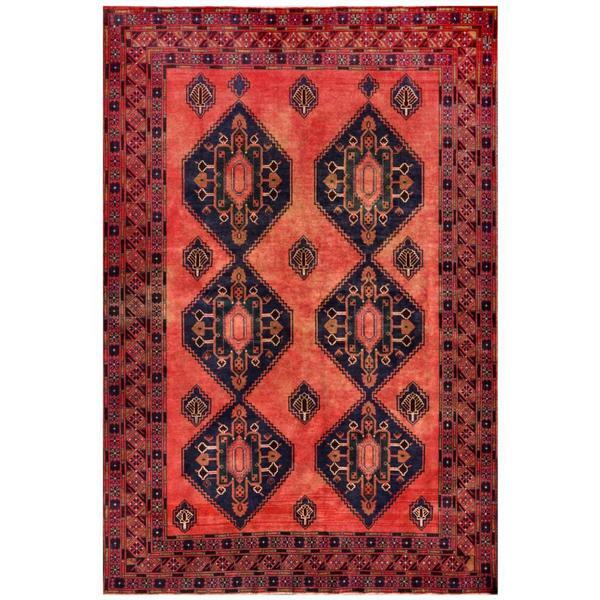 This semi-antique rug was made in the second half of the 20th century, by the women weavers in the villages of Herat. They were woven in a very primitive way on flat wooden looms that lay on the ground, with 100-percent wool from their own sheep. They did the washing and the natural vegetable dying of the wool in their villages.